Prepare your tastebuds, people! Bush tucker cocktails are totally trending right now and FYI you need to try them, ASAP. Concocted by the oh-so fabulous Kurtis Bosley himself, and brought to you by the legends at The Woollahra Hotel, once you’ve had one sip you’ll understand what all the fuss is about. Think Tonka bean infused vodka, with toasted coconut and wattle seed syrup, sherry, dandelion and burdock bitters and Coca-Cola Plus Coffee No Sugar. Coke Plus Coffee, we hear you ask!? Yes, really. 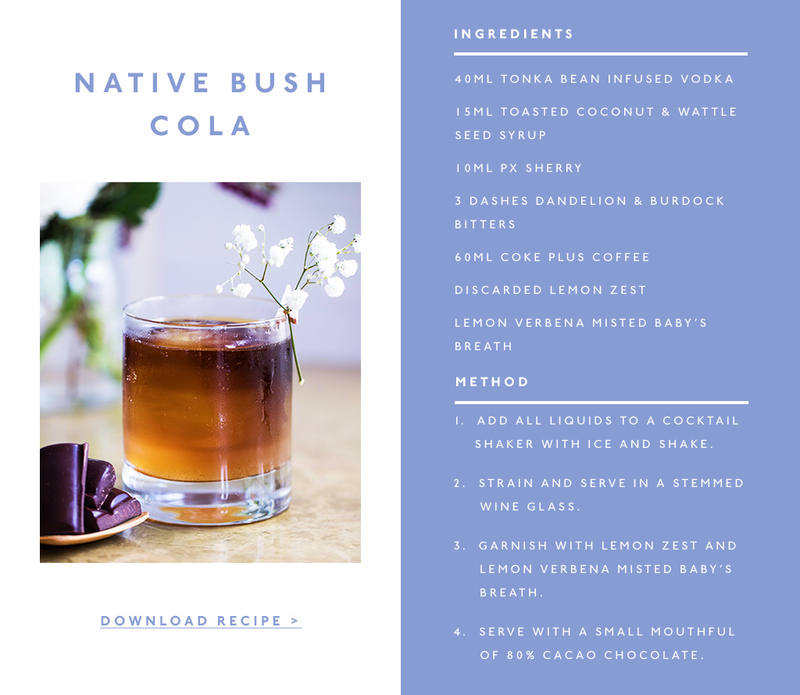 We’ve teamed up with The Woollahra Hotel to dish up a magical (read: delicious) Coke Plus Coffee creation and they've gone and made a bush tucker cocktail that tastes waaaaay better than it sounds. Oh, and its served with a side of dark chocolate just for kicks. These bad boys will only be around for a limited time so get there, STAT, and drink your way into foodie heaven.